Are you looking for a way to infuse some new action in to your bedroom routine? If so check this out. 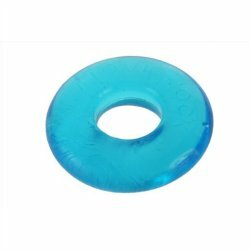 A new game designed to help you try new and fun things that YOU want to do! Pick the cards that interest you, roll the dice and take turns trying new things and maybe pushing some new boundaries ! Secret vii adult game is the perfect date night experience or a great way to spice things up or just keep your relationship hot! 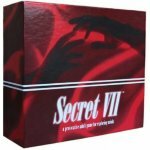 secret vii is easy and quick to play! 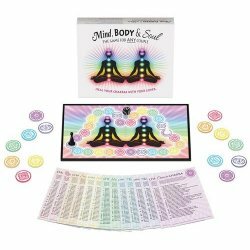 secret vii contains a library of 400 pleasure cards, dice, an audible timer and instruction sheet. Pleasure cards are color coded from mild to wild: blue cards are mild (light intensity/romantic, yellow cards are moderate (medium intensity), red cards (high intensity/explicit) and black cards are blank for you to create your own foreplay act. Each player selects 7 pleasure cards they want performed on them in any combination. Players take turns competing to roll a 7 or 11. Whenever a player hits a 7 or 11, their pleasure card is pulled and performed on them for 2 minutes by setting the audible timer. The winner is the first person to have all 7 pleasure cards performed on them! with secret vii everyone is a winner. 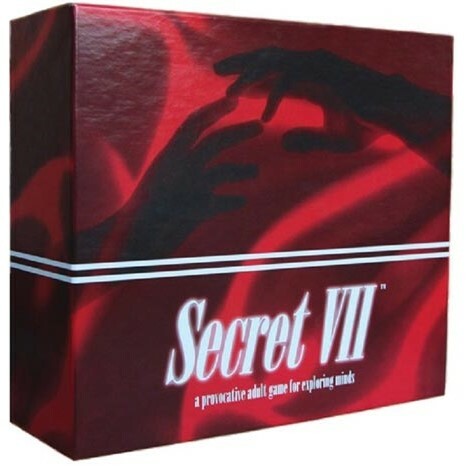 Secret vii is a awesome valentine's gift, wedding present or the gift that just keeps giving.